Baby teeth are temporary, but don’t ignore them just because they fall out! 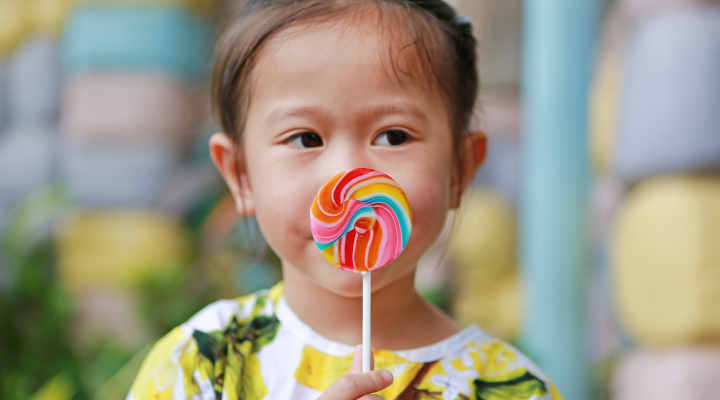 Decay on baby teeth from candy and high-sugar snacks can cause damage to your child’s mouth, affecting how their permanent teeth come in. The good news is preventive care can help steer your child away from potential issues. Tooth decay is the breakdown of a tooth’s enamel. Certain bacteria in the mouth react with sugar to create an acid that literally attacks the teeth, which leads to cavities. Tooth decay can start as soon as a child’s teeth start coming in. Decay causes pain and spreads to other teeth and, if left untreated, it can destroy baby teeth and long-term mouth health. How Does Tooth Decay Affect Permanent Teeth Before They Come In? Baby teeth are important placeholders. They create space in the jaw for adult teeth. If a baby tooth falls out too early, the teeth next door can drift over into the open space. This causes crowding when it’s time for permanent teeth. Be on the lookout for white spots, which indicate that the enamel is starting to break down and can lead to tooth sensitivity. What Can I Do to Prevent Tooth Decay In Baby Teeth? We recommend taking your child to the dentist after the first tooth comes in and no later than their first birthday. For infants, use damp gauze to wipe your baby’s gums and clear debris. For children younger than 3, brush gently with a children’s toothbrush and a rice-sized dab of toothpaste. Between the ages of 3 and 6, brush with a pea-sized amount. When your child has two teeth that touch, you should start flossing between their teeth daily. Supervise brushing until your child can confidently brush twice a day without swallowing toothpaste. Remember to schedule dental visits every six months. Make sure your child eats a well-balanced diet, limiting candy and snacks that are sticky and high in sugar.